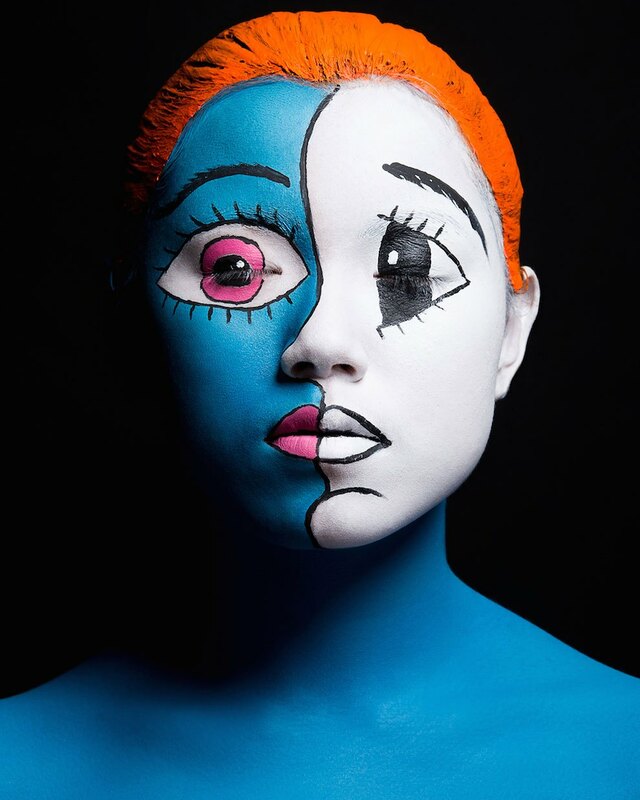 This week’s #ArtWednesday, we are amazed by Japanese pop art face painting which is colorful, bold, and out of this world. Graphic designer Mahmoud Tammam helps us understand some Arabic words by creating visual representations of its meaning. Who wants color-changing hair dye? Lauren Bowker, a chemist and fashion designer, makes it a reality. Check out the rest of the this week’s #ArtWednesday reading list. In Choi Xooang’s hyperrealistic sculptures, eyeless heads face off against each other, dismembered hands convene to form fleshy angel wings, and men with dog heads pose in underpants. The fine detail and often grotesque style of Choi’s work has helped him stand out among South Korea’s increasingly diverse contemporary arts scene. But in May he will make further inroads internationally, showing an exhibition at New York’s Doosan Gallery, where he is presently completing a six month residency. Geoffrey Farmer’s project for the Canadian Pavilion at the 2017 Venice Biennale will be called “A way out of the mirror” and will deal with issues of personal memory, familial history, inheritance, trauma, and desire. Best known for his sprawling, self-built installations often featuring kinetic anthropomorphic elements—including his widely praised Leaves of Grass shown at Documenta 13—the artist is using two photographs from his family archive as a starting point for his Venice outing. Color-changing hair might seem like something out of a fantasy novel, but Lauren Bowker of The Unseen has made it a reality. Bowker, a chemist and fashion designer, is known for her “high-fashion alchemy.” She’s previously created hue-shifting purses as well as other air sculptures that use science to produce a stunning visual effect. Now, she’s turning her attention towards color-changing hair dye that’s controlled by temperature—when there’s a dramatic spike or drop, the dye seemingly has a mind of its own. Your hair might change from black to crimson at a moment’s notice. Egypt-based graphic designer Mahmoud Tammam creates simple modifications of Arabic words, transforming the language into visual representations of their meaning. The words Tammam chooses to design are often animals, turning long slopes into a llama’s neck, or a series of curves into an octopus’s tentacles. By creating these pictorial translations he allows the words to be understood by those not familiar or well-versed with the Arabic language, a minimal gesture that leads to a much greater understanding. This year, the result of the exam organized by the makeup school Make Up For Ever is bluffing. With only one instruction of re-appropriating the works of the Japanese artist Takashi Murakami to body art, the apprentice make-up artists have demonstrated their sense of creativity with audacious motifs with flamboyant colors. A work that pays tribute to the original artist whose artistic essence is totally respected.